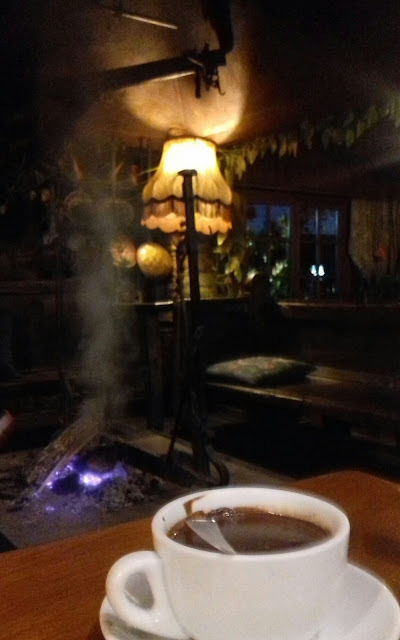 "Winter is coming", eso dice el lema de los Stark de Juego de Tronos, y nada como una taza de chocolate caliente al lado del fuego, fuera nieva, the winter is here. A toasty warm photo on a shivery cold day - very nice! With snow coming down your photo warmed me right up. Nice shot, coffee or hot chocolate? Mmm, I love your photo. Keep warm! Have a great weekend! We are having a warm up today in our winter snow and I'm so looking forward. I don't really mind the winter and snow as long as I can get out of my driveway and go. Lately though the temperatures have been way too cold to venture out much. Stay warm and you photo looks very inviting with your cup of warmth. Thanks for visiting me.